A line of field-replacement CO2 optics that feature lenses in a wide range of focal lengths for low power lasers where depth-of-field is critical is available from Laser Research Optics of Providence, Rhode Island. 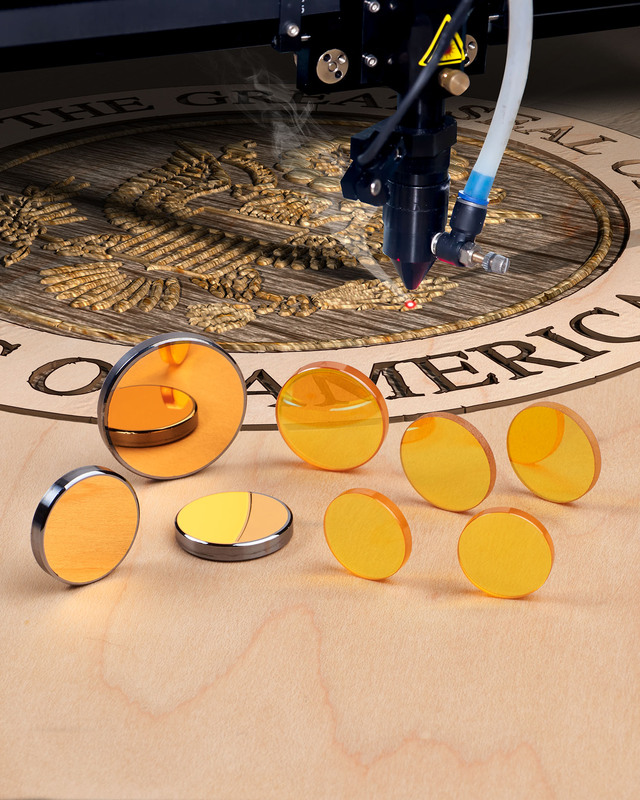 Laser Research Optics CO2 Laser Lenses and Mirrors meet OEM and ISO-10110 specifications and are optimized for 10.6 µm wood cutting and engraving laser systems where depth-of-field is critical. Suitable for direct field replacement, they come in 1/2” to 1-1/2” dia. sizes with focal lengths from 1” to 25” in 1/2” increments and are offered with coatings to meet specific phase and polarization requirements. Especially effective for plywood, these Laser Research Optics CO2 Laser Lenses have 40-20 scratch-dig surface quality, < 1/40th wave sphericity, and provide < 0.2% total absorption values. These lenses and mirrors are available for Camtech®, Emission Technologies®, Epilog®, Ferba®, Kern®, Laser Pro Engravers®, LST Lasers®, Pinnacle®, Synrad®, Trotec®, Universal®, Vytek® engraving and marking lasers. Laser Research Optics CO2 Laser Lenses and Mirrors are priced according to configuration and quantity; with overnight delivery from stock.